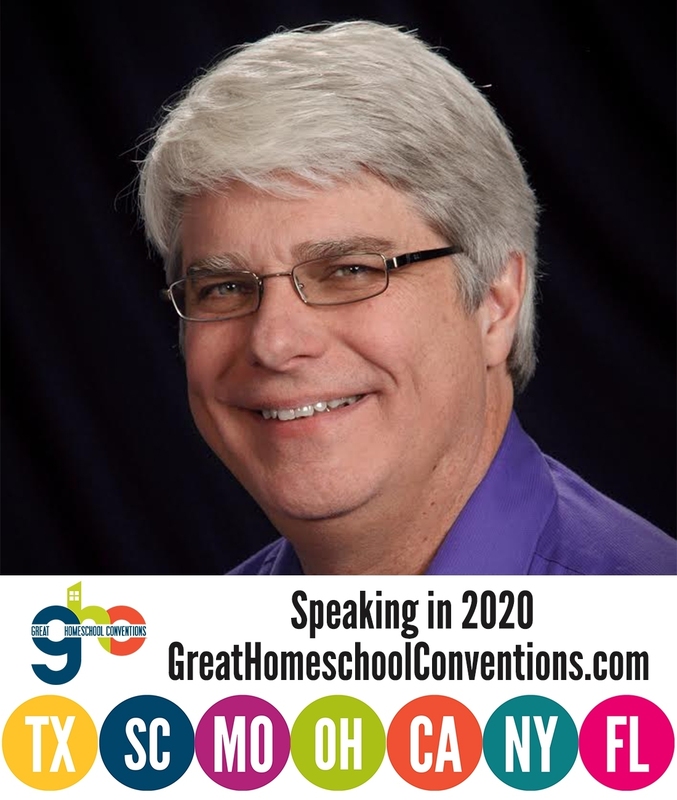 Many of my readers probably know that I started working with homeschoolers because of my experiences with homeschool graduates when I was on the faculty at Ball State University. As a group, they were not only academically superior to their peers, but they were also significantly more well-adjusted. I often share this fact when I am speaking to homeschool audiences, so it didn’t surprise me when a homeschool blogger (Michelle) sent me some questions about my experiences with homeschool graduates at the university level. As I indicated to her, I have experienced homeschool graduates at both a secular university (Ball State) and a Christian university (Anderson University). 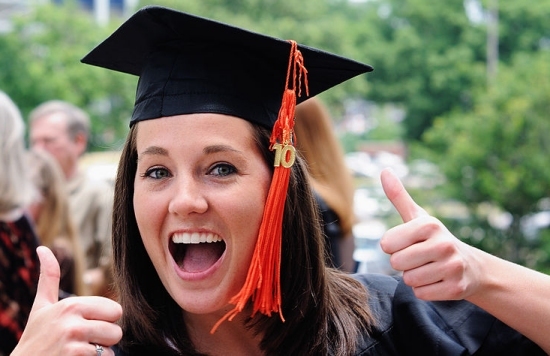 Based on my experiences, I can state with some confidence that, on average, homeschool graduates excel at the university level, be it in a secular or Christian environment. Several studies back up those experiences (see here, here, here, here, and here). Michelle told me that she was writing a blog post about professors’ impressions of homeschool graduates, and she asked me four specific questions. I answered them as best I could and then (like many things) promptly forgot about it. Yesterday, I received another email from Michelle, telling me that she had finished the project and had published her post. After reading it, I decided that I had to share it. I think it provides some really valuable insights, especially for parents who are currently homeschooling and want their children to pursue higher education. Unlike the studies that I spend a lot of my time discussing, the results of her survey of college professors is not scientific. It has a tiny sample size and makes no attempt to be representative of the population of college professors as a whole. Nevertheless, it is incredibly valuable, because the college professors who were surveyed offer some excellent advice to homeschooling parents, and they provide perspectives about homeschool graduates in higher education that would be hard to measure in a more scientific survey. The first thing I noticed, of course, was that all the professors agree that homeschool graduates make excellent college students. That’s not surprising, given the long list of studies that indicate this fact. However, the professors’ responses do give some insight into why. According to these professors, the homeschool graduates are better readers and writers than their peers, and they have a better work ethic. In addition, they seem to have a better attitude than their peers when it comes to earning their education instead of expecting it to be given to them. Sort of a funny issue – but I get several homeschool students who forget to put their names on their work. They just forget that this is something I need from them. Some of them (surprisingly to me, a homeschool mom myself who’s learning what she needs to be sure to incorporate in her own “academy”) don’t seem to have much experience taking notes in a class setting where the instructor just keeps moving along. At least one of them didn’t even realize he should copy down the examples we worked in our college algebra math class. This is why I stress that homeschooled students should have some classroom experience. I think many homeschool families overdo this and end up missing out on some of the real benefits of homeschooling, but others underdo it, producing graduates like the one discussed in the quote above. Like many things in life, this is about moderation. Homeschooled students should have some classroom experience, especially if they are bound for higher education. However, that should represent only a fraction of their academic experience, because many of the real benefits of homeschooling (developing the ability to learn without a teacher, developing strong relationships with parents and siblings, experiencing the freedom to explore the “rabbit trails” of a subject, etc.) can only occur in a traditional homeschool setting. I have been so impressed by my homeschool students that I pulled my son from public school. It’s hard to argue with that one. When we adopted our daughter, we immediately started homeschooling her, because my experiences with homeschool graduates at the university level had already convinced me that it was the best educational opportunity available. I also like it when students who are homeschooled let others in the class know. I don’t share this information with the other students, so sometimes they go through a class without anyone knowing. However, I like it when the students say something about being homeschooled. This often becomes a teaching moment for the other students who have preconceived stereotypes about homeschooling. I enjoy seeing their attitudes and ideas shift to see homeschooling in a new, different way. Obviously, not all homeschool graduates have the kind of personality that will allow them to share personal information like that in a group setting. However, I strongly agree with this professor. Homeschool graduates should, when they feel able, share their homeschooling experience in class. I think it would go a long way towards destroying the ignorant stereotypes that exist among both students and faculty at many colleges and universities. Thank you Dr. Wile for sharing this! As a senior homeschool student myself, preparing for college, this was super interesting to me! I particularly enjoyed reading about what areas home school student sometimes struggle in the university setting. I laughed at the part about putting names on our papers. That is just funny! I also thought it was interesting that one of the professors enjoyed when his home school students shared their experiences about being home schooled. I am sometimes a little embarrassed myself to say I am home schooled because of those same stereotypes. I’ve never thought that maybe opening up a little and sharing could debunk those. I’ll definitely keep all of this in mind when I go to college next year and I’ll share this with my fellow home schooled friends 🙂 Thank you! As a freshman in college, I can personally relate to how people’s stereotypes and preconceived ideas of homeschoolers are often shattered when they find out that I was homeschooled straight up through Kindergarten. One time when I was taking a Physics class at a local college during my junior year of high school, I was staying late and helping another student finish up an assignment. (I had already taken many of your science courses at home.) She asked me which high school I attended, and I told her I was homeschooled. She was so shocked that she at first thought I was joking, but I assured her I was serious. After a moment of reflection, she admitted that I was the first homeschooled person she had ever met, and it was clear that her entire mindset of homeschooling had changed. What’s even more funny, another extremely smart student in the class (who was a senior at the college) chimed in that she had been homeschooled for a few years in high school as well. Having graduated two daughters who homeschooled from K-12, with two more in high school, I throughly agree that “many of the real benefits of homeschooling (developing the ability to learn without a teacher, developing strong relationships with parents and siblings, experiencing the freedom to explore the “rabbit trails” of a subject, etc.) can only occur in a traditional homeschool setting.” It saddened me over the years to see my daughters’ homeschooled peers hit high school and parents insist that they either enter a brick-and-mortar (often charter) school or enter a regimented “traditional-school-like” set of homeschool classes. An added bonus to choosing to homeschool high school the way we always homeschooled previously (allowing lots of time for self-motivated “rabbit trail” learning) gave my daughters a very impressive transcript with so many extra activities and honors they never would have had time for if we had chosen one of those more”traditional” high school options. Thanks for sharing your thoughts on this, Dr. Wile, as well as linking back to Michelle’s original post… I love it! Thanks so much, Dr. Wile, for broadcasting your preferences for the home-educated student! Although I call myself a retired educator (my youngest being now 26) it’s hard to forget the knowledge of the excellence I knew I was watching in progress in my home, during those exciting years. I will share this article with everyone I can, included several professional sites. What an encouragement, you have been! By the way, we filled the note-taking void, in our curriculum, by requiring note taking during sermons and conferences. Usually these were accompanied by an outline handout, but it seems to have been enough preparation for them. I love your idea of note taking during sermons! Thanks for sharing. This was how learned note taking as well. When I was in college everyone wanted to borrow my notes because I was so detailed. I had only ever taken one class out of the house (chemistry). Thanks so much for the article. (I love reading your blogs anyway.) I have 3 grown daughters all homeschooled. The oldest decided she loved doing hair so she worked on the side and put herself through “beauty school” and is still a very successful beautician. My middle daughter went on to college on a full ride scholarship (academic and work) and earned her Bachelors in Digital Media (becoming student of the year) and then worked in her field for a few years, then went back on another scholarship and got her Masters. She is currently a college professor at a local college teaching what she loves. My youngest daughter worked her way to get a 2-year degree in English hoping to be a teacher eventually, but she loved dance so much she opened up her own dance school and made a living at that for about 5 years. Then she was hired by a local church to do the young children’s ministry. They all 3 have faced life’s issues head on and I couldn’t be a prouder dad. My wife and I worked very hard homeschooling them and it was HARD WORK, but well worth it. So I encourage those considering it. We did it when it wasn’t that popular. Now that it is more accepted, that will help, I’m sure. Thank you! As an introduction to the classroom/teacher mentality, we started in junior high or so to expect our kids to take notes in church most Sundays. We talked lots about how to listen to others, how to take notes, interpersonal skills, etc. It wasn’t until their final year of high school that they did a couple online courses to learn the lingo, grading systems, data banks of resources, etc. for the particular college they’d applied to & expected to attend. One is graduated now, and the other is in her third year of sciences. So thankful. Homeschooling thru high school WORKS! Thank you so much for your science books. I love them! I am a homeschooled junior and am working through your Advanced Chemistry in Creation 2nd edition. I had a question about module 8. Back in module 6, you introduced the equilibrium constant and gave equation 6.1. On the next page you wrote that we ignore both solids and liquids in this equation. Then in the following examples H2O(water) is ignored when solving the equilibrium constant because it is a pure liquid. However, in module 8 example 8.8 water is a product produced in the reaction. In the example, water is also factored into the equation for the equilibrium constant. Why isn’t it ignored as in previous examples? Thanks so much, Taryn. You ignore water when you know it is a liquid or solid. Since the phases aren’t given in the problem, you don’t know that it is a liquid or solid, so you can’t ignore it. Also, on a more technical note, you ignore liquid water only in aqueous solutions. When water is the solvent, you have enough of it to keep the concentration constant. However, if it is not a solvent and is either being used or made, the concentration does change under certain conditions. As a result, it needs to be kept in the equilibrium constant. Please note that there is a website where you can ask me questions like that one. Thank you so much! I didn’t know about your other website either, so that will be a great resource as well. As a parent of five college graduates (soon to be six) who were all homeschooled since kindergarten, I would suggest that it is very helpful to take dual enrollment college courses as a high school junior or senior. In our state,the tuition is free because they are in high school, and the credits are applicable to their later college transcripts. For my kids, it was the easiest way to learn to take notes, and since they were still at home, I could help them with any aspects of classroom learning that they had trouble with. Dr. Wile, I appreciate your blog. I agree, people have some preconceived ideas about homeschoolers. Homeschooling has been such a big part of my learning experience as a student. I did 3 of your highschool credit books by the way. I am in 11th grade and I’m taking college math at a local university. I have already taken a philosophy class. Once I mentioned I was homeschooled in class, people were quite surprised and impressed with my skill in learning. Being homeschooled has taught me to be responsible; something some of my college class mates lack. Sadly, while taking college courses at the university, I see people fail classes because they didn’t give their best effort. People don’t turn in assignments, due homework or, at times, pay attention in class. One of my biggest adjustments while taking these classes was group assignments. As a homeschooler, I rarely faced group assignments. And to tell you the truth, I pity all the public school kids that have to deal with group assignments. I highly dislike them, simply because people don’t give their best effort. And your grade is partly dependent on how well the group does as a whole. But some people won’t pull their own weight and do their part, and I guess that’s what I hate most. Anyways, I just wanted to share my experience as a homeschooled-16 year old- undergraduate whose taking college courses in campus because of many years of hard dedication. Thank you for your blog, awesome curriculum and time! Thank you very much, Lu. I appreciate your insight. I will never forget sitting at a college fair with the head of the debate team I was on and greeting perspective students. One girl came up and when she said she was home schooled the head of the team was so shocked and said that she would be the first one on the team if she was selected. The other girl and I laughed (we knew each other) and I told the leader that not only was I home schooled (k-12) but two other girls on the team had been for at least some of the time. The shock. It was never something I purposely hid but apparently she didn’t know. That’s a great story, Nicole! Thank you, Linda. I am glad that he has done so well! Great encouragement and insight, Dr. Wile; thank you! Our son was homeschooled K-8 and decided he wanted the public high school experience. He was so under challenged during his freshman year that I added two online college courses to his schedule. Even once he loaded his schedule with AP and Honors classes, plus a full band schedule, he easily aced all four years at a 4.0 GPA and graduated Valedictorian. Now he is succeeding both academically and socially as a freshman at the U of Washington and still thinks the classes are much less rigorous than he expected. Bottom line: public schools at all levels need more challenging academic programs.